Most of us, (of a certain age! ), are familiar with the game shows the Krypton Factor and The Crystal Maze. 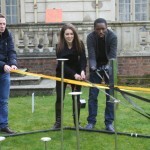 Our Krypton Maze is a team building combination of both concepts! 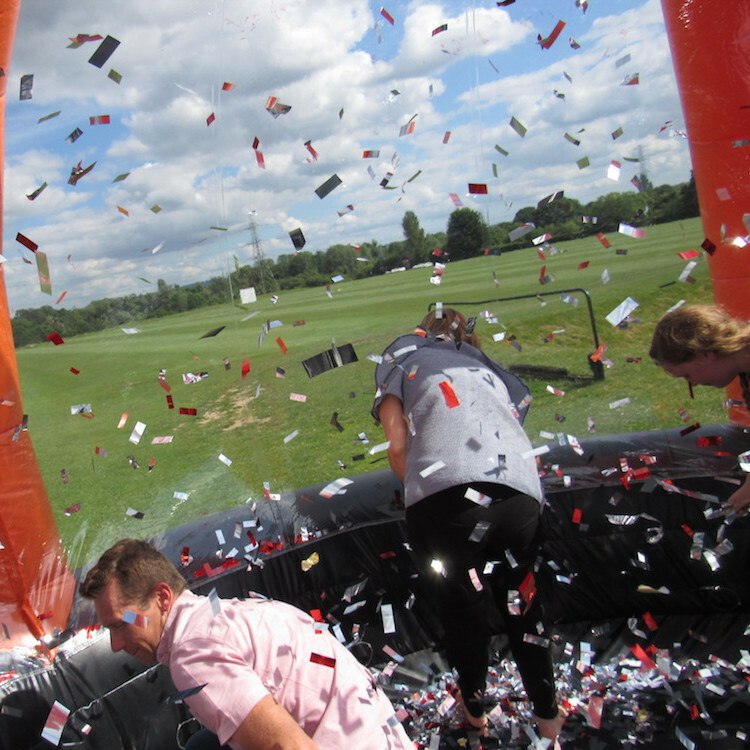 This gives your teams exceptional team activities that can be done as an indoor teambuilding event or an outdoor event. So, How Does The Krypton Maze Work? You face a series of fun mental and physical purpose built team challenges that you must complete in order to gain crystals. 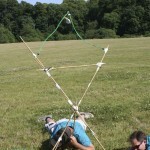 We've taken inspiration from both The Krypton Factor and The Crystal Maze TV shows and created fun and engaging activities that will really test your teamwork and in a way that isn't overly physically demanding!. We also offer the option of each activity being facilitated by one of our experienced teambuilding facilitators. They can help lead the team into discovering about their team dynamics. Feedback can also be tailored toward any existing organizational goals that you have. This makes a more bespoke and relevant experience for the participants. We can also run these activities to help support behavioral analysis sessions such as Belbin, SDI, MBTI or others. Serendipity – Several items need to be retrieved from within a specified zone. The teams only have a few resources with which to retrieve them. Can they work out how the items can safely be retrieved? The Orbital – A number of silver orbs are positioned around a specified area. The team has to lay a path using a series of boards in order to obtain as many of the orbs as possible. Aztec Pyramid Re-location - The iconic pyramid needs to be moved to a new location. We have conveniently cut it into sections for you, but, due to it’s delicate nature, you must adhere to our specific instructions if this historic pyramid is to be saved! Aztec Symbols – A tricky puzzle - 9 ancient tiles with 3 Aztec symbols on each side. Match up all the tiles so that where the tiles touch, the corresponding symbol matches. Once that's done, use the codex to reveal the code to access the Crystal kept safely in the Crystal Chest. Da Vinci Bridge – The great Leonardo Da Vinci came up with a concept for a free standing bridge as part of his 'application' for patronage from 'The Duke of Milan' Ludovico Sforfa. Described in Leonardos words: "I have plans for very light, strong and easily portable bridges with which to pursue and, on some occasions, flee the enemy, and others, sturdy and indestructible either by fire or in battle, easy and convenient to lift and place in position. Also means of burning and destroying those of the enemy." Can you work out how to put it together? Build That Tune – You are presented with a distinctive tune of 4 notes. 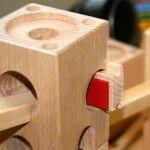 You are also given connecting blocks, wooden runners, balls and individual xylophone plates. All you have to do is exactly replicate the tune you heard. This is done by constructing a structure that a ball will run through striking the plates to replicate the tune. The Dome – The iconic end to The Crystal Maze had teams enter the dome in order to grab as many foils as possible. The more you got, the biger the prize! Well, now you can experience that too. Teams will be given a set amount of time in The Dome depending on how well they have done on their challenges. Can the teams lower down the ranking make up for it in this thrilling end to the session? Egg Toss – The teams are given a number of items with which to build a contraption to throw an egg the furthest distance possible. How far will your teams achieve? A great fun way to end the session. Will your team leave with egg on their face? ?